1. 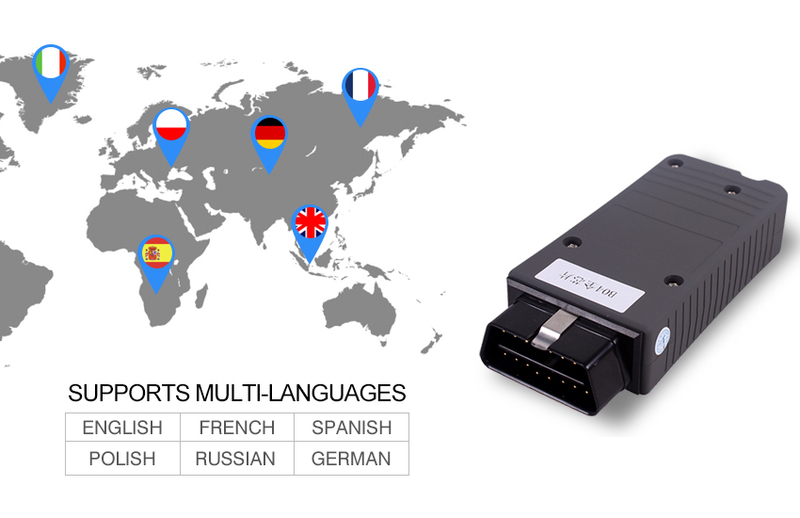 The VAS 5054A is a universal diagnostic interface for OBD II vehicles . 2. The integrated bluetooth interface can connect the vehicle with a notebook, desktop PC or test system. 3. No cables needed for vehicle diagnose when using the VAS 5054A. 4. The range of the wireless Bluetooth connection is 2 to 5 meters, depending on the environment and the type of bluetooth adapter used on the PC side. 5. The Serial Port Profile (SPP) is used for data transfer via Bluetooth. 1. It is full chip with OKI. 2. It supports UDS Protocol. 3. It has the newest software ODIS V4.13 . 4. 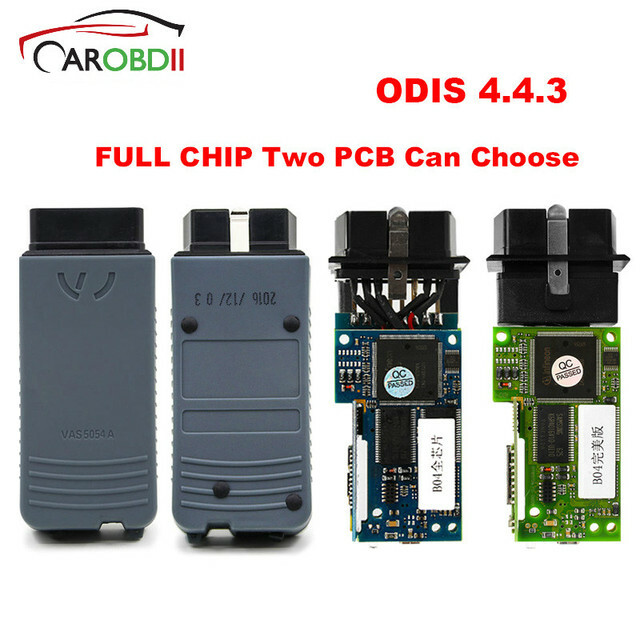 It supports for VW & For Seat & For Skoda & For Bentley & For Lamborghini series cars. 5. It has bluetooth and USB interface optional. If you computer don't have bluetooth function, don't worry, you just need insert the USB adapter into computer interface, then your computer can connect the VAS5054A. 6. VAS5054A supports to diagnostic the car which up to 2014. We have the newest software ODIS V4.13 There is Cracked File in it. So it can be used it directly. It doesn't need to be activated when you install the newest software ODIS V4.13, and you doesn't need to send us the Hardware ID, you can use it directly. 1. The vehicle protocols are handled directly in the VAS 5054A. 2. This ensures fast response and a reliable real-time behavior independently of the PC operating system. When a connection is established, the VAS 5054A software is identified with the version installed on the PC. Thus the VAS 5054A adapts any new features provided automatically after a new software version has been installed on the PC. 3. The diagnostic application and the associated diagnostic base system are installed on the application PC. 4. The diagnostic base system can access the VAS 5054A via Bluetooth or USB. You can also connect the VAS 5054A to the PC by using the supplied USB cable. Windows detects the VAS 5054A through Plug and Play, and automatically installs the drivers copied when you installed the diagnostic application. Then set up of the VAS 5054A is complete and the device is ready for use by the diagnostic application.